Ask John Henry: Seriously? Boston Globe Publisher? The John Henry Era at the Boston Globe is off to a, well, Henryesque start (see also John Henry Red Sox and John Henry Liverpool). In October 2013, Henry purchased The Boston Globe and its websites, the Worcester Telegram & Gazette and its website, and Globe Direct, a direct mail operation. With the purchase, he became the third owner in the 141-year history of the Globe. Today, he becomes the ninth publisher. “My main role as publisher is to ensure that the Globe has the right management and that management has the resources to accomplish its mission,” Henry said. Sheehan, 53, joined the Globe earlier this month as a consultant to help improve advertising sales. 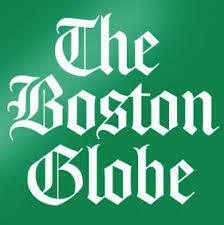 As CEO, he will oversee the business side of The Boston Globe. The Globe’s owner is the paper’s publisher and an adman is its CEO. Not good news for Globe readers. This entry was posted on Friday, January 31st, 2014 at 9:57 am and is filed under Uncategorized. You can follow any responses to this entry through the RSS 2.0 feed. You can leave a response, or trackback from your own site. One Response to Ask John Henry: Seriously? Boston Globe Publisher?